"Who can help laughing when an ordinary journalist seriously proposes to limit the subject-matter at the disposal of the artist?" One of the nastiest of the British tabloids was founded a year too late to join in the moral panic generated to accompany Oscar Wilde's court appearances in 1895. Yet there was no shortage of hypocritical journalists posing as moral arbiters to the nation, then as now. 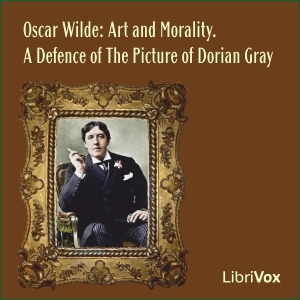 This compendium work - skilfully assembled by the editor, Stuart Mason - ends with transcript of Wilde's first appearance in the Old Bailey, when he was cross-examined on the alleged immorality of his novel The Picture of Dorian Gray. The disastrous outcome of these trials provides an ironic conclusion to the earlier knockabout exchanges between Oscar and his reviewers. In these he is at his flamboyant best, revelling in the publicity he pretends to disdain. His brave performances in the dock did nothing, however, to save him from hard labour, the treadmill and complete physical and moral breakdown which the law found it necessary to inflict on him. In contrast to the hacks and lawyers, two refreshingly open-minded Americans write perceptively about the novel, as does Walter Pater, the grand old man of Aestheticism.